The National Motor Museum in Beaulieu, Hampshire, England opened. The museum was founded in 1952 by Edward Douglas-Scott-Montagu, 3rd Baron Montagu of Beaulieu, as a tribute to his father, who was one of the great pioneers of motoring in the United Kingdom, being the first person to drive a motor car into the yard of the Houses of Parliament, and having introduced King Edward VII (then the Prince of Wales) to motoring during the 1890s. At first the museum consisted of just five cars and a small collection of automobilia displayed in the front hall of Lord Montagu's ancestral home, Palace House, but such was the popularity of this small display that the collection soon outgrew its home and was transferred to wooden sheds in the grounds of the house. The reputation and popularity of the Beaulieu collection continued to grow: during 1959 the museum's "attendance figures" reached 296,909. By 1964, annual attendance exceeded half a million and a decision was taken to create a purpose-built museum building in the grounds of the Beaulieu estate. A design committee chaired by the architect Sir Hugh Casson was created to drive the project, and the architect Leonard Manasseh was given the contract for the design of the building which was primarily the work of his partner Ian Baker. By 1972, the collection exceeded 300 exhibits. In a ceremony performed by the Duke of Kent the new purpose-built museum building in the parkland surrounding Palace House was opened. The name was changed to the "National Motor Museum", reflecting a change of status from a private collection to a charitable trust and highlighting Montagu's stated aim to provide Britain with a National Motor Museum "worthy of the great achievements of its motor industry". The opening of the museum coincided with the UK launch of the Jaguar XJ12 which made it an appropriate week for celebrating the UK motor industry. 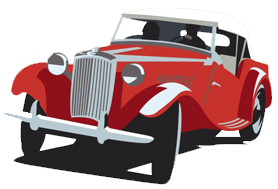 The museum is run by the National Motor Museum Trust Ltd, a registered charity. An unusual feature of the new museum building in 1972 was a monorail passing through its interior. This was inspired by the light railway running through the US Pavilion at the Montreal World's Fair, Expo 67.